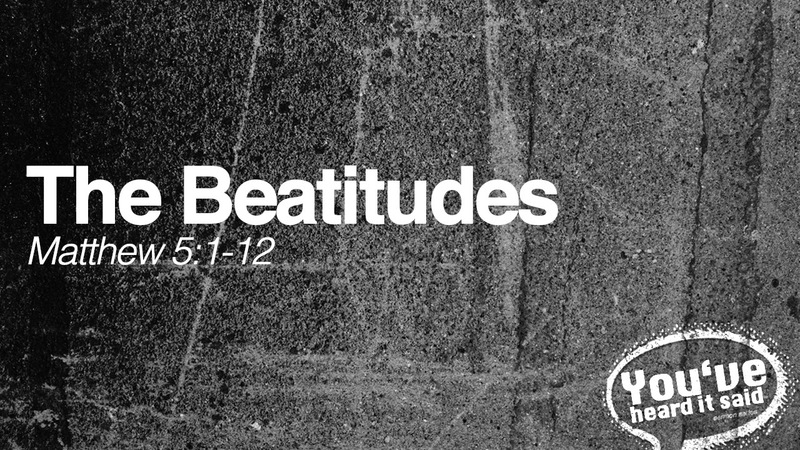 This week sees us starting a new sermon series looking at some extracts from what was probably Jesus most famous public address - The Sermon on the Mount recorded in Matthew 5-7. One strand in that sermon that Jesus picked up on was the teaching his hearers had picked up from their culture / upbringing etc and showed them how, in his Kingdom, everything would be turned on its head. Jesus had already been announcing that the Kingdom of God was at hand and doing miracles to demonstrate it (see Matt. 4). Now, as the King of that Kingdom, he sat down to instruct his newest subjects, the disciples - and anyone else who wanted to listen in. The central point is that one day Earth will be like Heaven is now as the two will be united as one and his subjects (disciples) are to work towards that day (Matt. 6:9-10, Rev. 21). You and I only have one life to live and how we live it defines our eternal destiny. Our culture has many expectations of us and how we should live it, we have many expectations of ourselves. Jesus cuts through all that noise and opens his sermon with some declarations of what his subjects should be like. Poor in spirit - knowing that however good it may be, they will never be fully satisfied in this life, John 12:25, Phil 1:23. Mourning - because they know the fate of those who refuse to heed Jesus' words, Matt 23:37, Ecc. 7:4. Meek - they look and wait patiently for the vindication of God, rather than taking matters into their own hands. Luke 18:1-8. Merciful - this can look like weakness, but Jesus says it is the path to receiving the mercy of God. Matt 18:21-35. Pure in heart - those in whom is no hypocrisy or double standard - their life is an open book. John 18:20. Peacemakers - those who move towards those who aren't like them and befriend them in Jesus' name. Eph. 4:3, 6:15. Persecuted - Jesus was love personified, but he was hated, reviled and eventually crucified. Those who want to be like him should not be surprised if they find themselves treated the same way. 2 Tim. 2:12. So how did you score as a wannabe follower of Jesus? All of us fall short, the only question is by how much? The good news is that Jesus did all of those things perfectly for us and God has accepted his life as a substitute for our own if we will put our trust in him. He was not satisfied with this life alone (Mark 9:19, Heb. 5:7). He mourned because of sin (Matt 23:37). He was meek (Matt 26:52-54). He hungered and thirsted for righteousness (John 4:34). He was merciful (John 21:15-19). He was pure in heart (Heb. 5:7). He gave his peace (John 14:23). He was persecuted (Matt 26-27).